Hotel Aishwarya Residency has reflective windows on its exterior and is warm and welcoming inside providing a comfortable stay for guests. 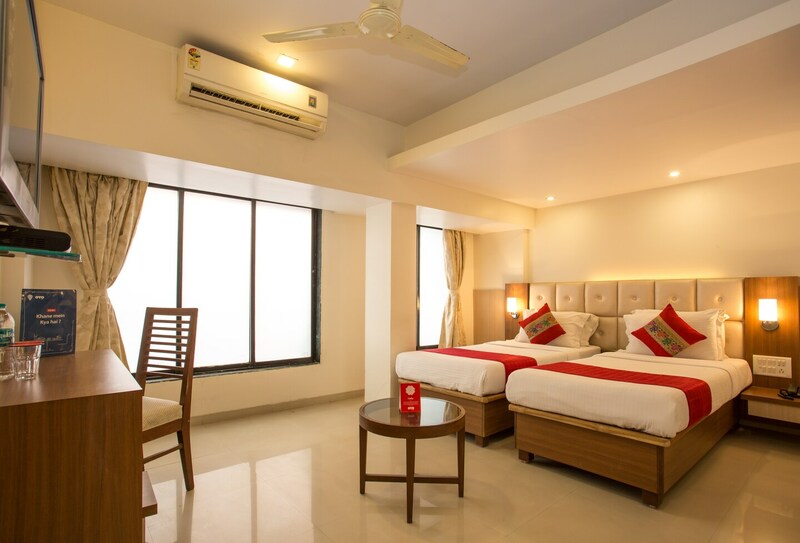 The spacious rooms are decorated in neutral shades with soft lights, large windows, flowing curtains, and false ceilings. The rooms are spacious and well-furnished. The hotel offers a comfortable common seating area and dining area where guests can mingle and spend time. Card payment is accepted by the hotel and it also has free wifi connectivity for the use of guests. The Seawoods - Darave railway station and several restaurants are located close to the hotel.